On Feb 8, our Malaysian Babywearers representative, Adriana Thani, conducted the 2nd babywearing talk at ibu House. We would like to thank the Gentle Birthing Group KL for inviting us to do the talk, and ibu House for providing the location. Entitled Introduction to Babywearing, this talk covers the basics of babywearing, including the benefits of babywearing, types of carriers, demonstrations on how to use carriers, as well as tips on safe & successful babywearing. Following a hearty Q&A session, attendees mingled with each other. Mothers, mothers-to-be, and even grandmothers all chatted up a storm, and several vendors were on hand to let attendees touch, feel and try their products. The children had a lot of fun as well! 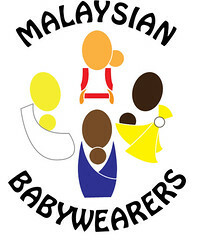 Malaysian Babywearers is open to giving babywearing talks for your group or organization. Do contact us for more details!